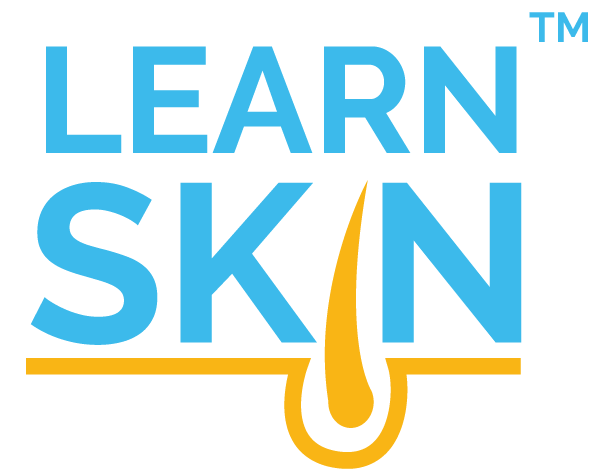 Our skin is naturally covered with a rich and diverse group of bacteria, viruses, fungi, and their metabolites, known as the microbiome. This microbiome is unique to each individual. Normally, the microbiome is a group of bacteria that live in a harmonious population to maintain the skin’s health. The microbiome isn’t even the same throughout the entire body in one person. The bacterial composition is different on different parts of the body. In other words, the microbiome from the face is different from the microbiome in the armpit, which are both different from the microbiome on the arms. However, what is shared among all of the different microbiomes in the body is that they remain diverse with many different bacteria living together in a community. Many factors are believed to contribute to the microbiome including what products, soaps, and moisturizers are used on the skin as well as what we eat. Despite all of these environmental exposures, it appears that the skin microbiome is relatively stable over time in healthy people. How Does Eczema Affect the Microbiome? In atopic dermatitis (eczema), the delicate balance is disrupted where there is no longer a diversity of bacteria but a dominance of one bacteria. This is especially true with an active outbreak of eczema. A research team of dermatologists and scientists has shown that people with eczema have a shifted microbiome with too much of the Staphylococcus aureus bacteria. This shift worsens with an eczema flare. When eczema flares are controlled the number of the S. aureus bacteria decreases so that there is a return to a more balanced diversity of the microbiome. 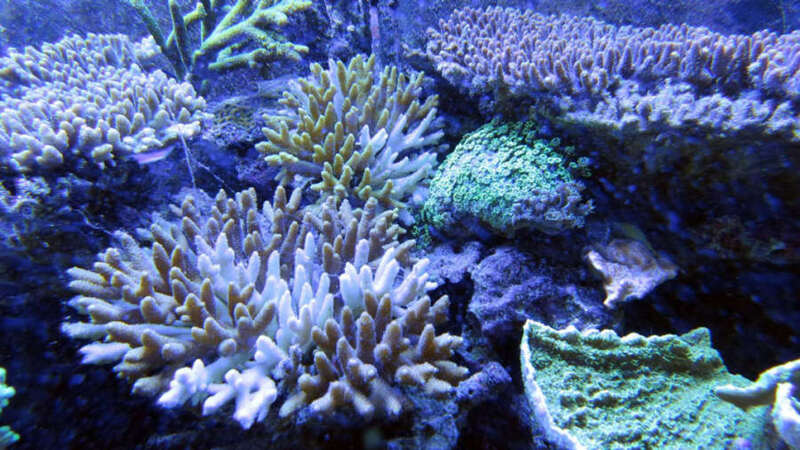 This research shows that there are healthy and unhealthy microbiomes. People with eczema flares develop an unhealthy microbiome, and controlling the disease helps restore a healthier skin microbiome. What Causes the Microbiome to Become Imbalanced? Researchers are still not sure what causes an unhealthy microbiome to develop. Several theories have been proposed. The first theory is that the skin’s natural antibiotic defenses may be shifted in eczema. Evidence supports that people with eczema have deficient production of natural bacteria fighting molecules at their skin's surface. In turn, it is theorized that this may allow S. aureus to overgrow in those with eczema. A second theory is based on the finding that the skin’s natural oils are reduced in those with eczema, leading to a shift in the bacteria that depend on the skin’s oils for growth. Future research will help us better understand why the microbiome in eczema shifts from healthy to unhealthy. 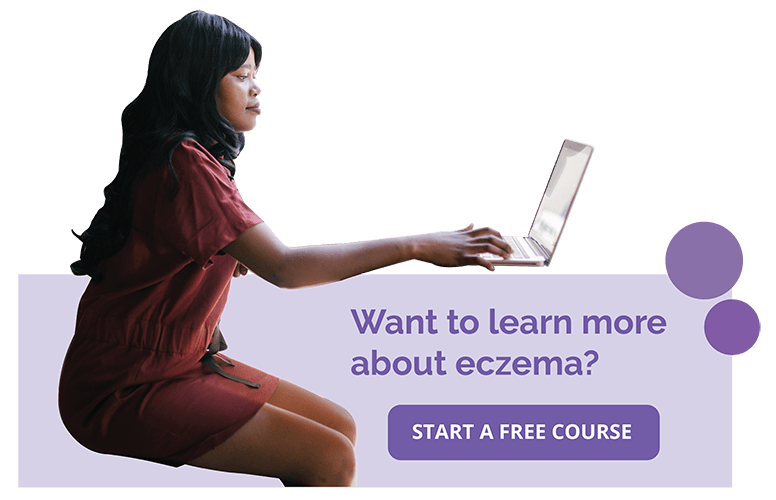 Does That Mean Balancing the Microbiome Will Help Eczema? The short answer is maybe. The longer answer is that we still do not know if a balanced microbiome results from controlling eczema, or if eczema improves because the microbiome becomes more balanced. Two options to restore balance to the microbiome include diluted bleach baths and benzoyl peroxide washes. Diluted bleach baths are believed to have an antibacterial effect. Several studies have shown that the use of dilute bleach baths or bleach-based cleansers can improve eczema. [7-10] One study, on the other hand, found that using bleach baths did not change the eczema severity although it reduced the need for topical steroids and antibiotics. When mixed correctly, diluted bleach baths have similar bleach levels as swimming pools, and another study showed that bleach baths do not negatively affect the skin. Find out more about how to make bleach baths. Benzoyl peroxide washes are typically used to treat acne and can control bacteria from overgrowing. After they are used in the shower, they need to be carefully rinsed off as they can bleach towels and clothes. Benzoyl peroxide washes can be very drying and may be irritating if there are active lesions of eczema. Therefore, moisturizer use after showering is very important in order to reduce the drying effects. In eczema, sometimes the open areas can become infected with swelling, pain, redness, crusting, drainage of pus, and fever. If any of these occur, a physician should evaluate the rash to assess if antibiotics are necessary. 1. Grice EA, Kong HH, Conlan S, et al. Topographical and temporal diversity of the human skin microbiome. Science.2009;324(5931):1190-1192; PMID: 19478181. 2. Sonnenburg ED, Smits SA, Tikhonov M, et al. Diet-induced extinctions in the gut microbiota compound over generations. Nature.2016;529(7585):212-215; PMID: 26762459. 3. Oh J, Byrd AL, Park M, et al. Temporal Stability of the Human Skin Microbiome. Cell.2016;165(4):854-866; PMID: 27153496. 4. Kong HH, Oh J, Deming C, et al. Temporal shifts in the skin microbiome associated with disease flares and treatment in children with atopic dermatitis. Genome Res.2012;22(5):850-859; PMID: 22310478. 5. Ong PY, Ohtake T, Brandt C, et al. Endogenous antimicrobial peptides and skin infections in atopic dermatitis. N Engl J Med.2002;347(15):1151-1160; PMID: 12374875. 6. Shi VY, Leo M, Hassoun L, et al. Role of sebaceous glands in inflammatory dermatoses. J Am Acad Dermatol.2015;73(5):856-863; PMID: 26386632. 7. Huang JT, Rademaker A, Paller AS. Dilute bleach baths for Staphylococcus aureus colonization in atopic dermatitis to decrease disease severity. Arch Dermatol.2011;147(2):246-247; PMID: 21339459. 8. Huang JT, Abrams M, Tlougan B, et al. Treatment of Staphylococcus aureus colonization in atopic dermatitis decreases disease severity. Pediatrics.2009;123(5):e808-814; PMID: 19403473. 9. Ryan C, Shaw RE, Cockerell CJ, et al. Novel sodium hypochlorite cleanser shows clinical response and excellent acceptability in the treatment of atopic dermatitis. Pediatr Dermatol.2013;30(3):308-315; PMID: 23617366. 10. Lan C, Chen SY, Lai JS, et al. Tai chi chuan in medicine and health promotion. Evid Based Complement Alternat Med.2013;2013:502131; PMID: 24159346. 11. Hon KL, Tsang YC, Lee VW, et al. Efficacy of sodium hypochlorite (bleach) baths to reduce Staphylococcus aureus colonization in childhood onset moderate-to-severe eczema: A randomized, placebo-controlled cross-over trial. J Dermatolog Treat.2016;27(2):156-162; PMID: 26270469. 12. Shi VY, Foolad N, Ornelas JN, et al. Comparing the Effect of Bleach and Water Baths on Skin Barrier Function in Atopic Dermatitis: A Split-Body Randomized Controlled Trial. Br J Dermatol.2016;10.1111/bjd.14483PMID: 26875771.